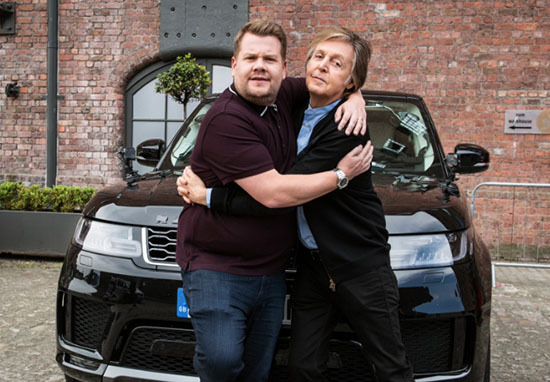 James Corden’s Carpool Karaoke is usually filled with laughter from both the passenger and Corden himself, but Paul McCartney left Corden in tears when the pair took on the Beatles’ hit Let It Be. Brit entertainer Corden has had his fair share of celebrities join him in the car for his Carpool Karaoke skit. From Adele to Justin Bieber, Stevie Wonder to Mariah Carey, Corden’s sung his way around the block with them all – but very few were able to reduce the Late Late Show host to tears. For his most recent roadtrip, James managed to rope in The Beatles legend Paul McCartney. The pair appeared in McCartney’s home town of Liverpool to film the segment, and about five minutes into the video, McCartney starts to talk about the origins of The Beatles hit Let It Be. I had a dream in the ’60s where my mum, who had died, came to me in the dream and was reassuring me, saying, ‘It’s going to be OK, just let it be.’ I felt so sort of great and like, ‘It’s going to be great.’ She gave me the positive word. So I woke up and was, ’What was that? She said, ‘Let it be.’ I’ve never heard that, that’s kind of good.’ So I wrote the song ‘Let It Be,’ but it was her positivity. McCartney’s revelation struck a chord with Corden, and he responded by saying ‘that’s the most beautiful story I’ve ever heard’. After the pair finished dueting on Let It Be, Corden had to wipe away tears, saying ‘it got me emotional there Paul’. I can remember my grandad, who was a musician, and my dad, sitting me down and saying, ‘we’re going to play you the best song you’ve ever heard’. And I remember them playing me that. If my grandad was here right now, he’d get an absolute kick out of this. Adding to the palpable emotion, McCartney said that Corden’s grandad was there with them in the car. Your music is so full of positivity and joy and a message of love and togetherness, I feel like it’s more relevant now today maybe than it’s ever been. We expected it to last 10 years, but it keeps going on, and on, and on. And it keeps being relevant. 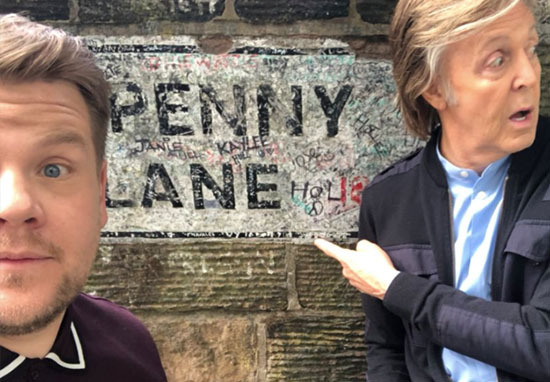 Corden and McCartney ventured around Liverpool, hitting some Beatles hotspots such as Penny Lane and a Beatles statue that can be found at Pier Head in the city. The pair also paid a visit to McCartney’s childhood home, where he hadn’t been in 50 years. The tour of Liverpool came to an end at a pub, where the bass-playing star gave a surprise performance for a few lucky fans while Corden pulled pints. Ah to have been a fly on the wall!